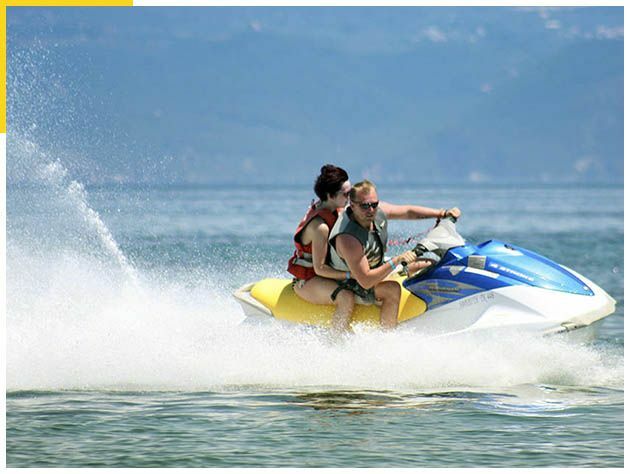 Exploring the local beaches by Jet Ski is one of the most fun, adrenaline-pumping activities we offer. Suitable for all ages, we guarantee that after your tour you’ll just want more. Explore hidden beaches, sea caves and deserted islands. Stop for snorkeling or beachcombing all on your own self guided tour. Enjoy exploring the coastline on your very own Yamaha WaveRunner. Our Yamaha 1100cc Jet Skis are available on Tamarindo Beach, Flamingo Beach, Conchal Beach — and many more locations, as well. A short jet-ski ride around the beaches and lagoons hidden in an out of Flamingo will thrill and delight you. If you would like to take out the least expensive jet-skis Playa Grande has to offer, then why not try us out. You and a group can do a Tamarindo jet ski rental and take turns for 15-mins a piece if you like or you can take the jet skis out for longer and enjoy the areas around Las Catalinas Islands. You can rent one for as little as half-an-hour or take one out for the whole day. Contact us to reserve your WaveRunner. The best jet-ski experience in Guanacaste Province, Costa Rica.